In the past few posts, I have spent time discussing how to make money using the Internet as a resource. Most of the strategies that I have discussed for making money require that you have your own online website. That is because a good website or blog can serve as a central hub for all of your marketing efforts. The site is a way of generating consistent revenue for your online money making efforts. Today, I would like to take a look at a few of the basic components that go into starting a blog from scratch. What is your blog’s primary niche? How many competitors are in your market? What will make your site stand out from the crowd? How will you generate traffic for your site? How much money do you expect your site to generate? This is the stage where you select your niche and start doing your research. You need to do topic planning, keyword research, and market strategizing. Tools like Market Samurai, Google Traffic Estimator, and Traffic Travis are very useful when it comes to finding relevant keywords that you can rank high for and evaluating them. The next step in the website creation process is to select a domain name. Domain names are very cheap and can be purchased for $9.99 or less. Selecting a name may sound easy, but you may find that it takes hours to find a name that you like and one that is available. It is important to put plenty of time into the thought process for your domain name because you cannot change it later. If you pick a poor domain name then you are stuck with it. When I launched my first website, I spent a few hours writing different names down on paper until I had a list of about eight or nine that I liked. I then narrowed that list down to my top three. I finally settled on Buy Like Buffett because I found the name to be catchy and it summed up the focus of my entire blog. I figured that I could pattern all of my marketing efforts around the site later on. It is normally best if you can get an exact match domain name if possible. Exact match domains are great for helping your site to rank easier for specific keywords and are useful if they sum up your blog’s focus. If an exact match domain is not available for your site, don’t worry about it. You can still get your site to rank highly in the search engines. In future posts, I will talk more about how to do SEO for your own website. 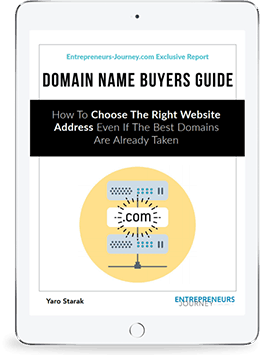 Editor’s Note: Yaro.Blog recommends Namecheap.com for domain names. There are tons of hosting companies out there with a lot of good ones in the market place and a lot of bad ones as well. It is best to check the ranking and reviews up front so that you can start out with a good one from the start. Trust me when I say you do no want to get saddled with a poor hosting company. A bad webhosting company can cost you traffic, visitors, and money. I started my site with Godaddy Web hosting and it was a nightmare from day one. I was plagued by internal server errors, lots of downtime, and slow loading times for the first two years. I eventually transferred to a new host, but I wasted valuable time learning how to do it. I wish that I had done my research on web hosting companies in advance. A basic hosting plan is good enough when you are starting blogging. These can typically be purchased for $9.95 or less a month. You can get an even cheaper rate if you sign up for a year or more. You don’t want to shell out money for a Virtual Private Server plan until you are actually making money online. Editor’s Note: Yaro.Blog recommends Bluehost.com for web hosting. For new website owners, one of the easiest and simplest ways to create a site is to use WordPress. WordPress is an open source blogging platform that makes it very easy to create a site and upload content. It is the number one blogging platform for self hosted bloggers. Blogspot, Tumblr, and Blog all offer free templates and blogging platforms, but none of them are as effective as WordPress for bloggers trying to make a profit. Uploading WordPress on a new site is incredibly simple and can often be done in one step. WordPress is great because website owners can select from hundreds of thousands of free themes that are available to get their blogs started. There are some great free themes out there that will work perfectly for most niches. You can always upgrade to a premium theme later once your website has generated enough cash to pay for one. A free theme is fine for new bloggers that have not yet monetized their sites. Both WordPress and the majority of WordPress themes are completely free. This is important because it is best to keep costs to a minimum in the beginning. 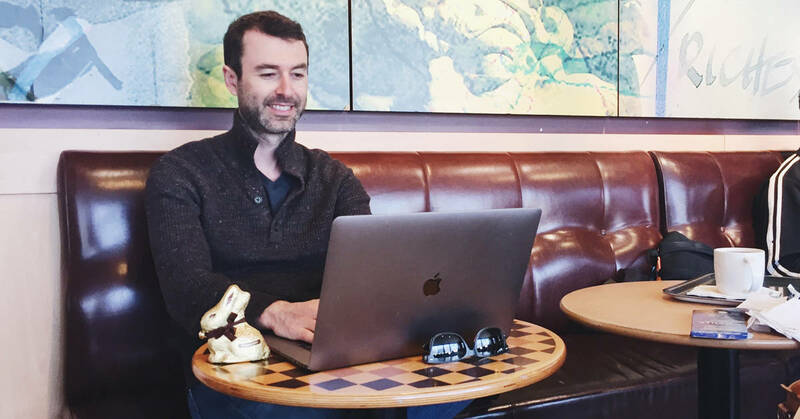 I have seen way too many new bloggers shell out thousands of dollars on custom themes, plugins, and software before they have even made a dime online. You don’t want to start your blogging career out in the red. The most important thing that you can do once your new site is up and running is start cranking out content. The first few posts that you write are important for setting the overall direction and tone of your site. You want to write these posts yourself and take time to make them really relevant. These posts are referred to as pillar posts because this is timely content that will bring in traffic month after month. These posts should answer some question or provide some insight that people are seeking. I stocked my site with a lot of actionable content in the beginning. “How To” Posts are my favorites because these posts are relevant for years and they provide useful information that my readers can benefit from. Having a unique take on a popular topic is one way to help your site gain traction in its early days. The most important thing is to get quality original content up on your site. I remember reading about how Darren Rowse wrote 11,000 posts for his sites in his first two years of blogging! You don’t have to write that many posts for your websites. An added bonus is that these posts typically do well in Google as well. I never write for the purpose of ranking high in Google, but I do optimize my content once it is written so that it will rank higher. The recent Panda update has shown just how important writing unique content is to a website’s success. As you can see, starting a blog is a relatively simple process that can be done for a very low price. You could realistically have a quality site up and running in a few minutes and for under $20. In the next post, I will explain some of the steps to take this beginner blog to the next level. How much did you pay to start your website? Did you start with WordPress, a good hosting company, and lots of content? Nicely explained. Good one for beginners. Solid advice on starting a blog. An important thing is to just do it… some people agonize over what to write about or think that their topics will be dumb… write your first 20 posts about whatever the hell is in your head, and you’ll start to find a clear direction that you want to go. Thank-you for this advice. I have been going absolutely crazy with trying to decide what to write. I made a huge mistake with the platform. I used Drupal, because I was familiar with its web design process. Little did I know, it is not cut out for blogging, even though it is possible. By the time I figured out all the disadvantages, it did not make sense to convert to WordPress. To each their own I suppose. I’ve had friends who swear by Drupal. Me personally I swear by wordpress! Curious though, why did it not make sense to convert over to wordpress? It’s never too late in my opinion. Great post about how to start a blog. I was just having a conversation with one of my teammates who is just starting a new blog. We’re changing her over from wordpress.com to wordpress.org. She has many ?s. I’m going to recommend this article to her. Additionally, I think that especially for beginners, a web host that uses Fantastico De Luxe is preferable, since it’s so much easier. thats a tremendous guide mate, it will help anyone trying to create a blog. I think selecting a Domain name is the Most Crucial thing before starting your blog, Your Domain name should be small & it should contain keywords if possible. Just wanted to suggest that when considering a domain name, ideally it will be catchy, but also be a group of keywords that has search traffic such as ‘fastcashloans’ for example only.. The Google keyword tool can show search volume for keyphrases and you can export the data to paste into a domain lookup tool. Godaddy has a bulk domain tool that you can paste 100 or 200 names in and search at once. Also, another great tool I like to use when searching for a cool domain name is ‘BustaName’ .. you can put in lots of words, group them and decide if the words in a group should be the first, middle or last word and then it will figure out what domains are available from each possible combination of words from each group. Great article Mark, this will be a good resource for the beginners reading this out there. You really can start on a modest budget! I often forget how people like Darren were posting like 50 times a day. Blows your mind! I would recommend WordPress for beginners because for me it is the easiest to use. Keyword research and creating fresh, unique and qualiy initial content are the key to success. Being aware of the keywords you are targeting in your posts/pages shows that you do care about who are the people who will come to your blog via the search engines. A “blog about everything” or “random posts” no longer work. You have to address a specific need and talk to a specific audience to be more effective. That’s where passion comes in, and that passion is fueled by interaction from readers who are interested in what you write. Great article, wish I read it before I had to deal with Godaddy myself and go through the same nightmare. Currently it seems like Movable Type is the best blogging platform available right now. I’ve been using wordpress for years Fannie, I haven’t used movable type since the very very early days of my blogging. Real beginners guide to start a blog, this is much of theory side of it. With so many web hosting services providers out there, it become so difficult for first timers here to know which web host to deal with. The two recommendations gave in the post are my personal favorites, though I haven’t deal with blue host but I have a great experience with NameCheap at the moment. Thank Yaro for inviting Mark here. Before going into this article I felt this article doesn’t consist anything new and best info. But after reading this article I must say I was wrong I get some new stuff which I don’t know before. Thank you for sharing this info with us.